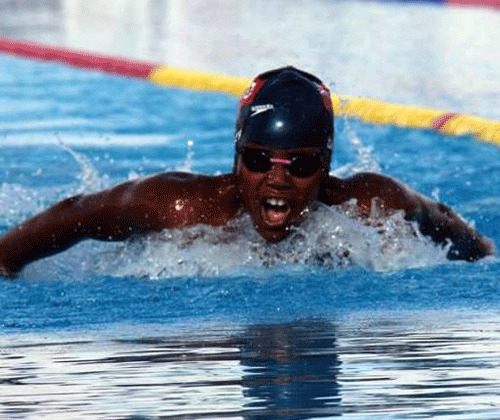 Elijah Daley competed in the Youth Cup Swimming event in Canada, which was hosted by the North York Aquatic Club. Competing in the Boy’s 12 Year Old Age Group Short Course event winning 2 Gold Medals and 4 Silver Medals. Daley won a Silver Medal during the 50m Freestyle clocking a time of 27.41, he would also win a Silver Medal in the 100m Freestyle touching the wall in a time of 1:00.52. Daley would capture the Silver Medal during the 200m Freestyle with a time of 2:11.06 and his final Silver Medal came during the 100m Backstroke clocking a time of 1:07.09. Daley’s first Gold Medal came during the 100m Butterfly touching the wall in a time of 1:05.66, he would also capture the 200m Butterfly Gold Medal when he touched the wall in a time of 2:24.33.